Design Teams / Badges I’ve Acquired! Color my world with family, friends and some time to be creative! 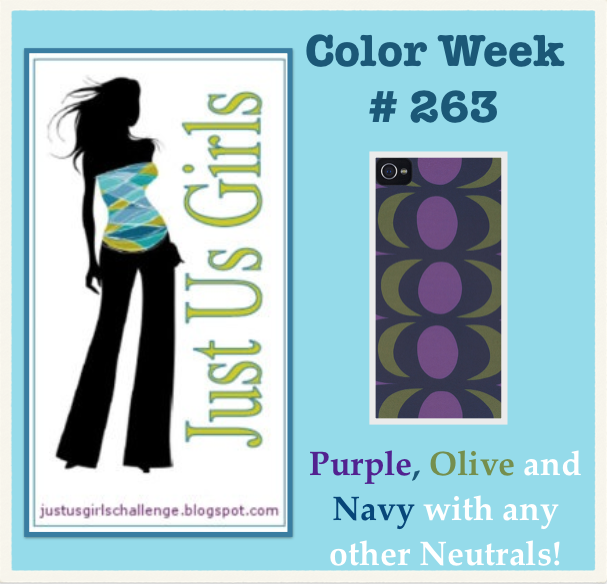 Hello Friends, I adore this week’s colors that Lisa picked out for us at Just Us Girls and thought that is was high time I break out those Spectrum Noir pens and try some coloring again. This is not something I feel I am any good at, so it takes me some nerve to give another try each time. This stamp is something I picked up while I was in Lakeland visiting my sister a while back, they have the most incredible local scrapbooking store there. Isn’t that stamp butimus? As my mom would sometimes say. Miss her ever single day! The sentiment is from Verve. One of the flowers is doubled and popped up with pop dots. Hope you come check out what my teammates did this week and play along. Remember if your chosen as Chic of the Week, you will be in the running for a possible chance to be a Guest Designer with us. You should see what Wanda our guest Designer did this week…it’s beautiful! See you over at JUGS! Categories: Cards | Tags: Card making, Cards, color challenge, coloring, Happy Birthday, rubber stamps, spectrum noir pens, stamping, Verve Stamps | Permalink. I really like this a lot. Great coloring and love the blue flowers. You should color more often! Your BG IS butimous! And your Mom sees the wonderful cards you make! LOVE this Nancy! Beautiful card! That is such a pretty flower stamp and you colored them beautifully! Great use of the challenge colors. Hope you have a fun weekend planned! 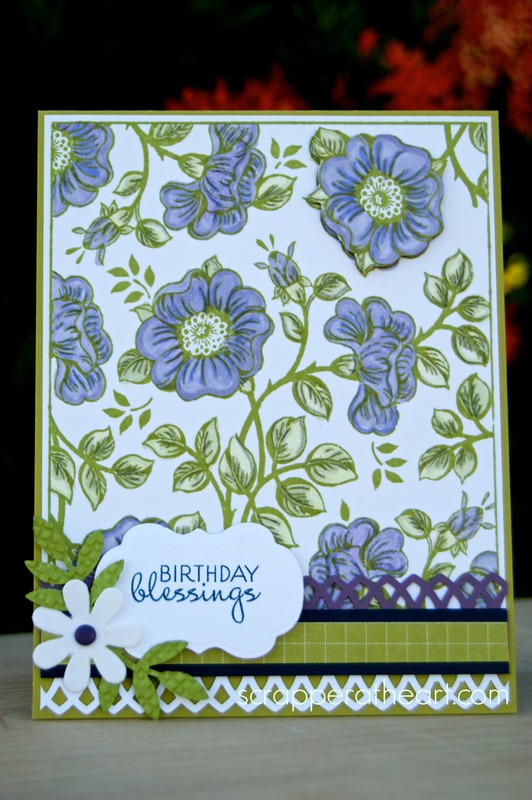 Gorgeous stamped background and use of the colors! Definitely “butimous”. Love it. I think you did a great job coloring those pretty flowers. Who says you can’t COLOUR? You have done beautifully. Love the stamp you used and the flowers are such a lovely colour. Your card is so bright and cheerful. Lovely layout Nancy. Wow this is beautiful! Your background looks like an expensive fabric! Lovely job with the colors! Your background is gorgeous! I really thought it was patterned paper when I first looked. Great job with the markers. I have this very same stamp! Absolutely love how you used it here! Consider it CASED in the very near future. Love your work! Nancy, I love your interpretation of these exciting colors. You did an outstanding job of coloring and you should really not be afraid to do more. It is amazing how different the same colors can look on the design team cards this week. Very sweet. That is a lovely stamp, Nancy, and you’ve done a great job coloring it. Please girl, your coloring skillz are fantastic! Just look at this card! GORGEOUS! Beautiful coloring! Love those flowers!